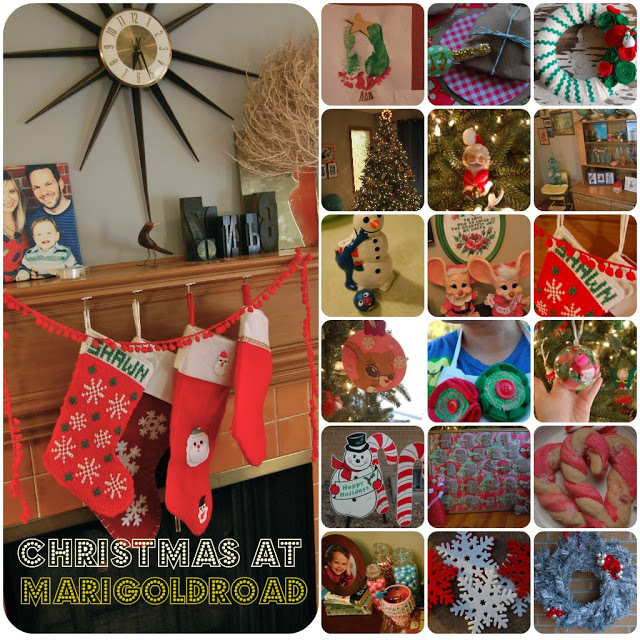 I can’t think of a better way to spend this Monday than by showing you some of our Christmas decor. 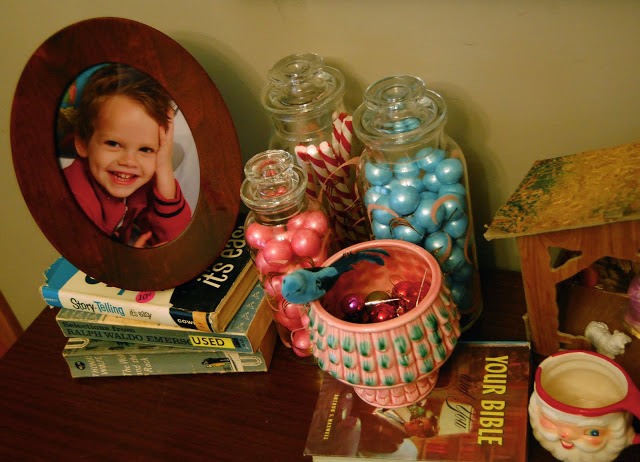 I love seeing everything come together; I have found some cute vintage holiday items at estate sales this year; it’s a blast to finally get to incorporate them into our already vintagey home. The only thing Christmasey in this corner is the turquoise Christmas tree from HobLob. I used it for the holiday tables exhibit awhile back. I love the fireplace this year. I splurged on some of that fancy red “ball ribbon” stuff. 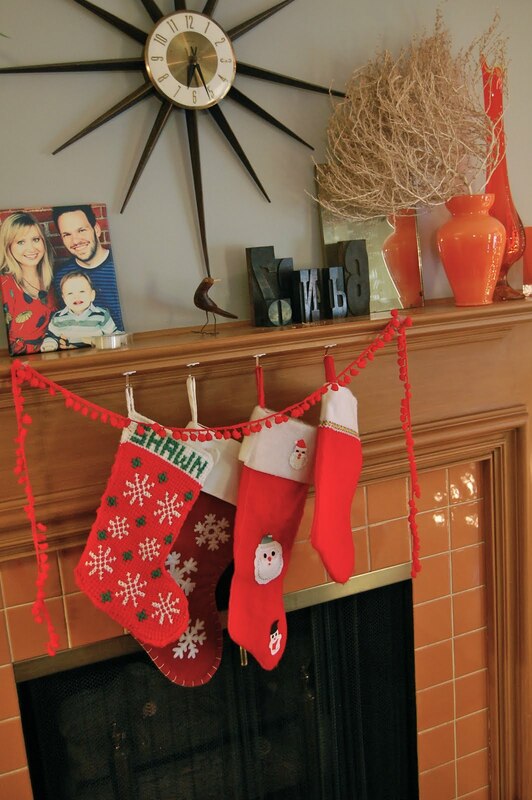 Shawn and the babies’ stockings are vintage. Mine is from Target. I found the tumbleweed in the parking lot at SuperCuts. 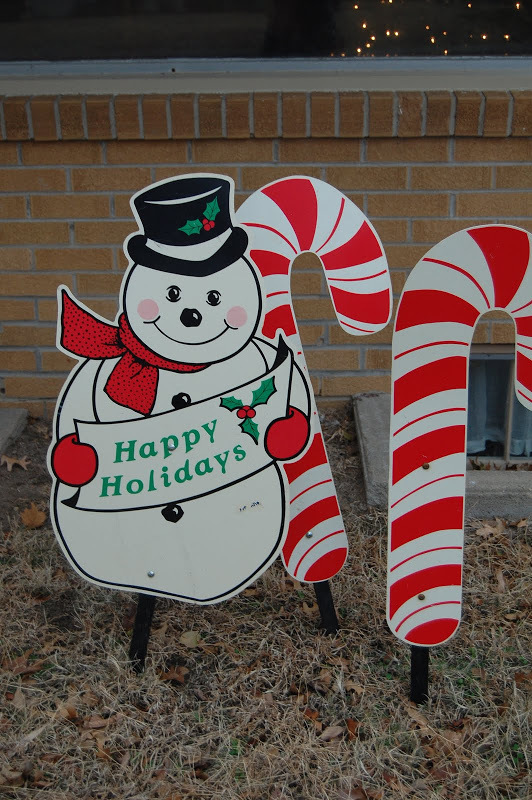 A friend picked up these vintage yard signs a few years ago; we love them. Santa/Mrs. 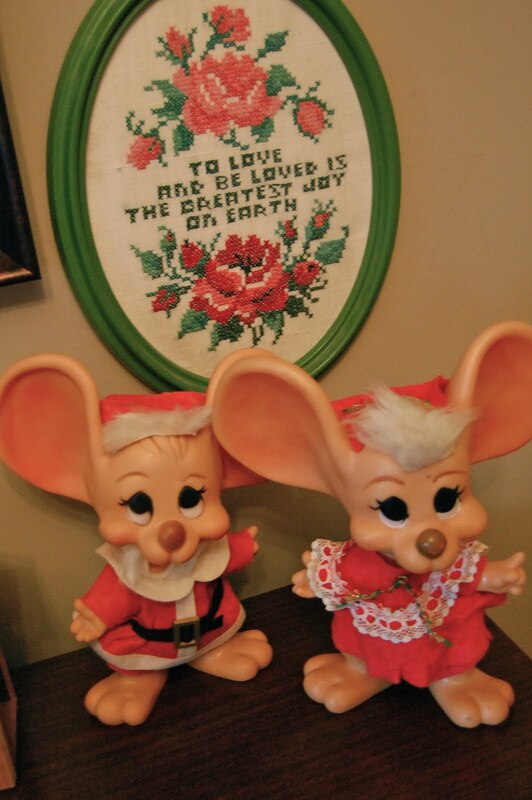 Claus mice…Shawn’s parents have a set that I have been wanting to steal since I was 17. As luck would have it, they found a set at an auction just this winter (apparently they were a customer appreciation gift that a bank gave out). Though these cuties smell like moth balls, I simply adore them. Our faux tree was a Lowe’s splurge a couple years ago. 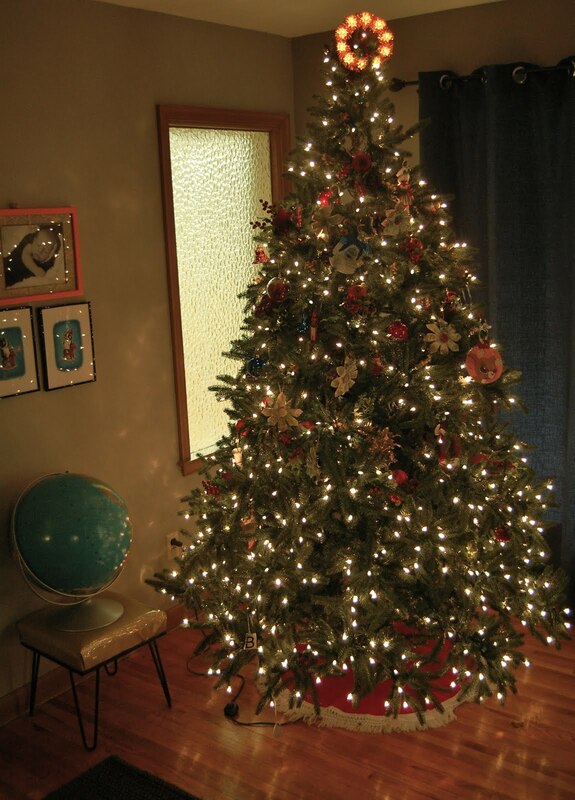 I always want a real tree, but it’s never in the budget. That’s when I’m glad we have something pretty to drag up from the basement. 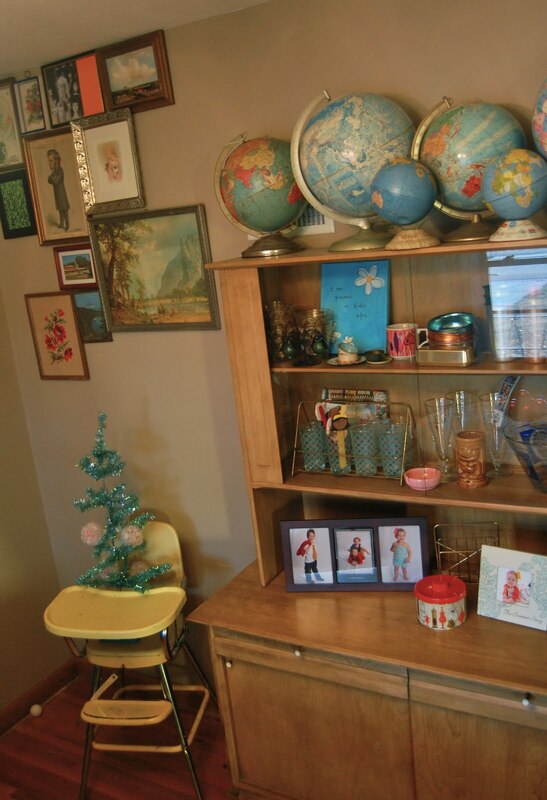 Tree topper, skirt, many ornaments, stool, globe are vintage. I made an advent calendar that will be featured on another blog soon! We use Shawn’s childhood stocking. 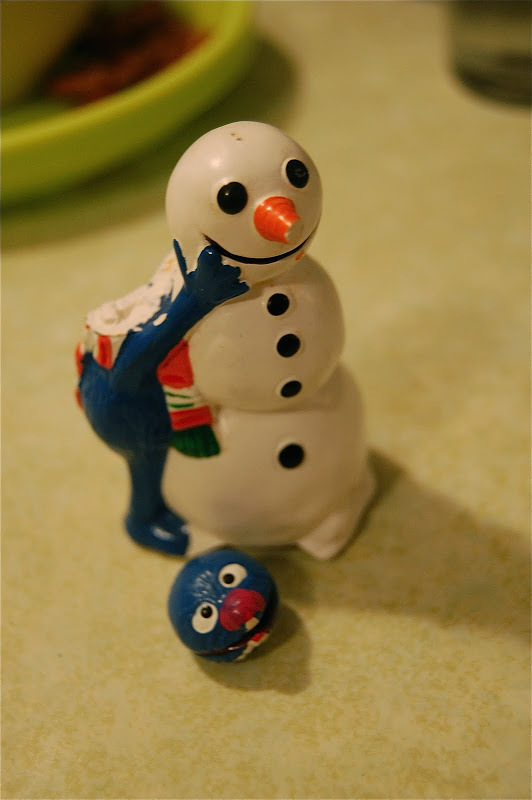 Grover is from 1986. 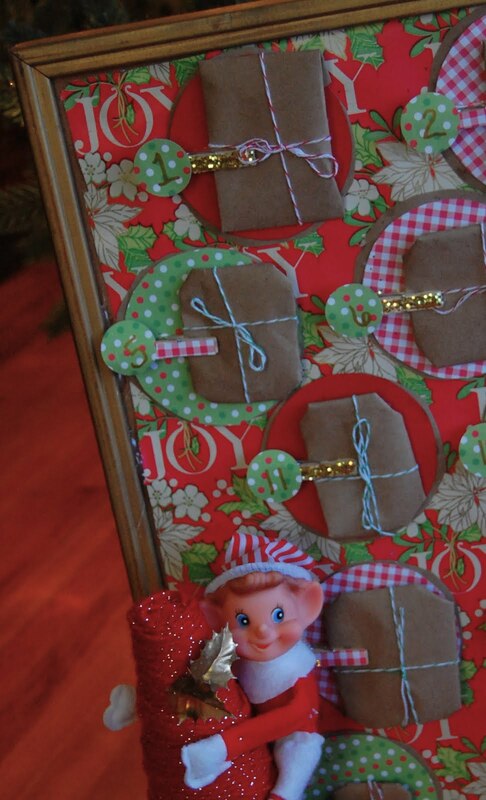 He is my favorite ornament. Forever and always. Nothing a little glue can’t fix. Story didn’t mean to! We also make sure that our roof does not have damage or leaks. The roof is an important component of our home. Roof repairs and replacement are not the best DIY jobs. We should choose a good roofing company to fix or replace the roof in our home. Here is what we should consider when choosing a reliable roofer in town. There are hundreds of roofing services on the market. Choosing the best company isn’t easy. Your research is crucial to the success of finding the best company in the area. Hire a licensed, insured, and bonded roofing service to repair or replace the roof in our home. We can save time and money by doing so.